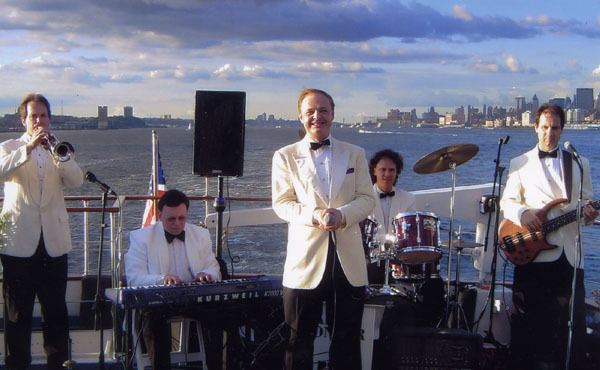 With a career spanning nearly 30 years, society band leader Alex Donner and his orchestra have performed for President George W. Bush, the Queen of Sweden, Donald Trump, Tom Cruise, Tony Bennett, Harry Belafonte, Rudolph Giuliani and Katie Holmes. 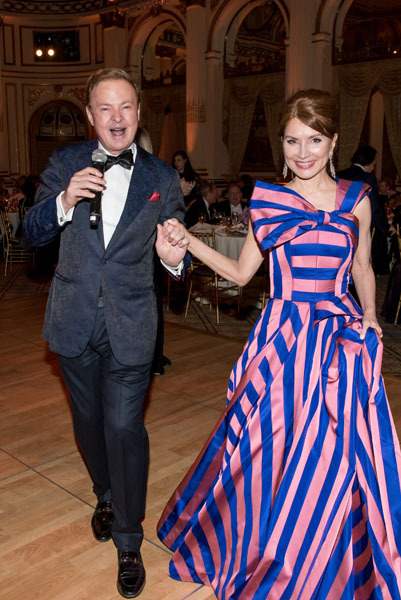 He has also headlined at the Café Carlyle, The Algonquin’s Oak Room and Club El Morocco, where the Vanderbilts and Hearsts mingled with iconic celebrities including Frank Sinatra, Marilyn Monroe and Ethel Merman. While working at his law firm, the NYC hotspot Studio 54 signed on as a client. “Whenever there was live music to be played there, I got the call because the owners, Ian Schrager and Steve Rubell, knew I loved to perform.” This exposure led him to sing at even more debutante balls, benefit galas and bar mitzvahs, which garnered him opportunities to play parties for celebrities including Mick Jagger, Andy Warhol, Truman Capote and Halston, a feat most rising artists can only dream of. High society is familiar territory for Donner. The entertainer grew up on Fifth Avenue in NYC and attended Princeton University. Following college, he went on to Fordham Law School before becoming a divorce lawyer while never losing his passion for performing, saying, “I was doing divorces during the week and playing weddings on the weekend with the band.” This unusual professional combination generated lifestyle stories in national media including The New York Times and The Wall Street Journal. When asked about his “big break,” he surprisingly says that singing for Sinatra or Jagger wasn’t it. He gained international recognition after performing at a lavish wedding in India for a former divorce client who happened to be a famous oil heiress. Upon returning to his law office, Alex’s boss informed him that he was receiving more calls from individuals seeking Alex’s musical services than his legal services and that he would have to choose between the two. It was a no-brainer for Donner, he quit the law firm and pursued a full time career in music. This year, Donner and his band have played alongside Grammy award winner Richard Marx at The Breakers Hotel in Palm Beach for the American Humane Association’s Hero Dog Awards Luncheon, which was hosted by Beth Stern, Daisy Fuentes and Lois Pope. Donner and his band are also slated to perform at the Cocktail Dinatoire to benefit Cristo Rey Brooklyn High School where Ruby Rinker will be honored; the 61st Annual New York Emmy Awards Show at the Marriott Marquis Hotel; the NYC Mission Society’s Champion for Children gala and will start his the summer at the Anglosphere Society as they salute the Queen in honor of Meghan Markle’s wedding to Prince Harry.